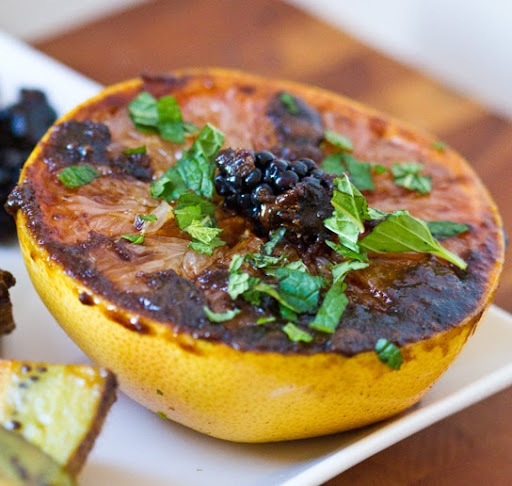 Nate Appleman's Roasted Grapefruit. 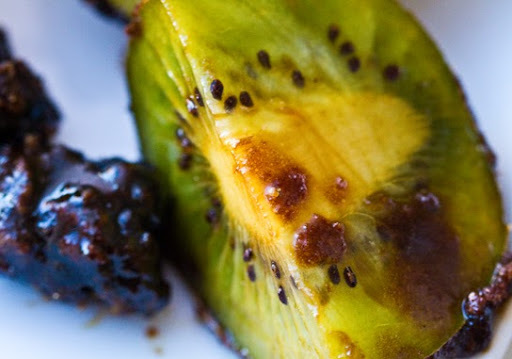 Kiwi & Berries. 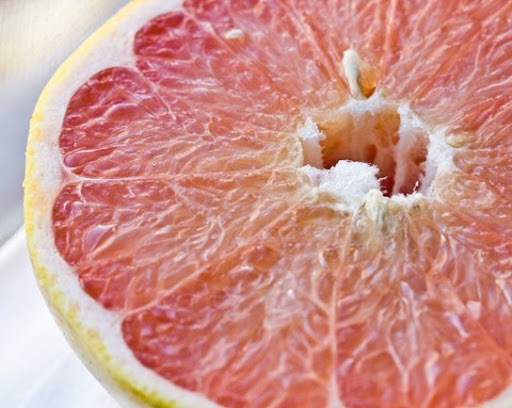 Last week I spotted a tweet from New York Times Food linking to a recipe for Chef Nate Appleman's Roasted Grapefruit. I immediately clicked on the recipe link and found it super yummy sounding. Only 3 ingredients too! But wait. 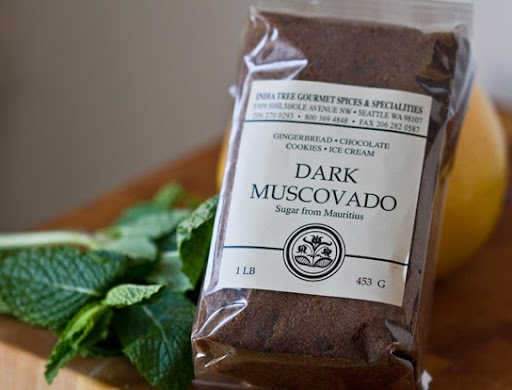 What is M-u-SCO-vad-O sugar??? 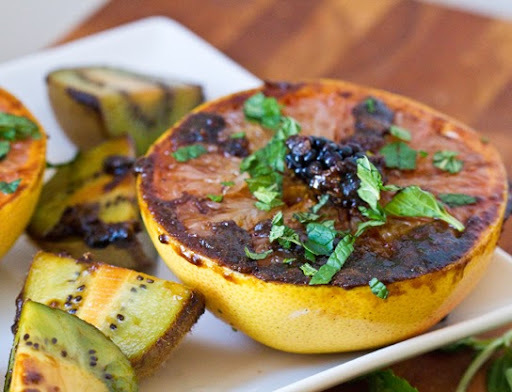 Roasted Grapefruit? 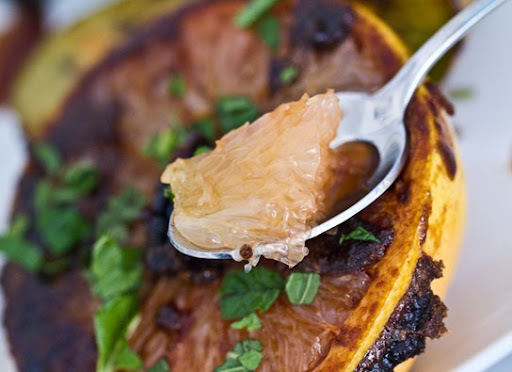 I read this recipe at least five times trying to figure out if the grapefruit is indeed "roasted" - say in an oven. But nope. 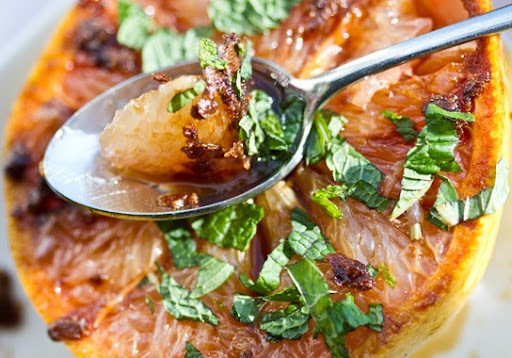 You are basically dipping a raw grapefruit on a very hot sugared skillet. 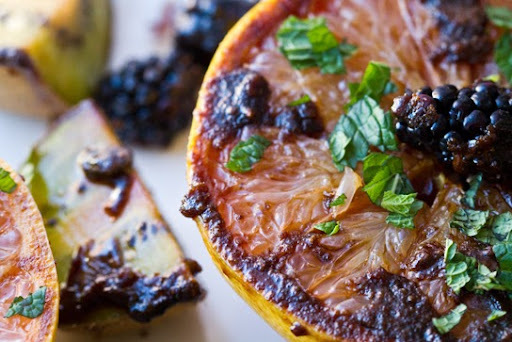 So I guess you do 'roast' the surface of the grapefruit in an untraditional way, right? Taste Test. All the cooking notes aside, let me tell you the flavor sensation that this recipe ignites. 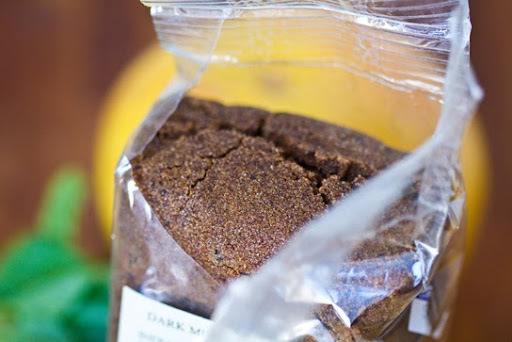 The cooled and hardened Muscovado Sugar glaze has a subtle molasses flavor with tones of vanilla and caramel. At first I thought the recipe sounded too simple - and maybe I'd try adding vanilla or even salt to enhance the flavor - but after my taste test of the recipe "as-is" I realized - the simplicity works! 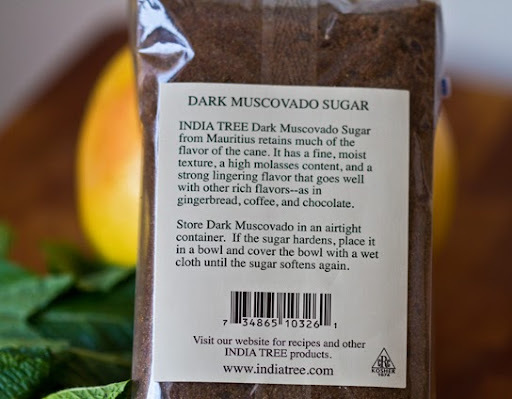 The Muscovado Sugar has a very complex, layered flavor that makes the grapefruit sing. And that extra sprinkle of fresh mint on top is not only pretty, but also a perfect fresh flavor accent. 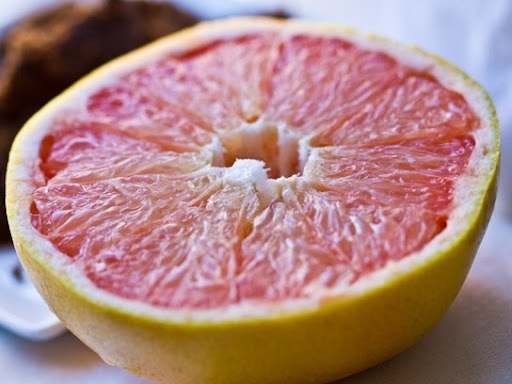 The grapefruit has a sweet sugar shell on top - when I cracked it open to scoop out a segment it reminded me of spooning into a creme brulee dessert. Same caramel-sugar flavors and layered moist sweetness. The grapefruit juices mixing with the sugar created a cozy sweet-tart sauce I slurped up with my spoon. So good. Tips. 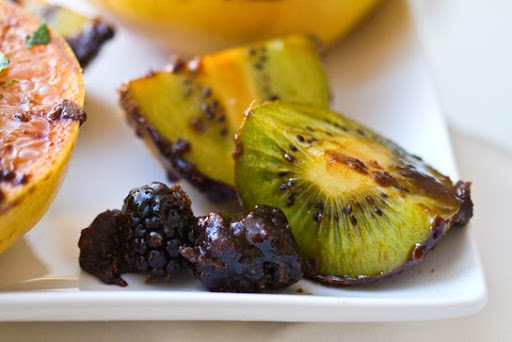 If you are going to attempt this recipe be warned that it may take you a few tries to melt the sugar just right without burning it. I still don't know if my sugar was perfect, but I was quite happy with the end results. Even if there were a few sugar clumps that lacked a bit of grace. I'm sure Chef Appleman's grapefruits are evenly sugar-coated. 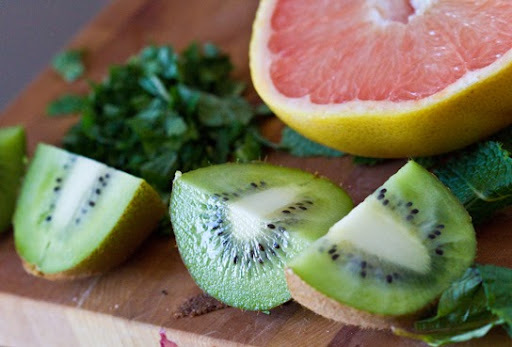 Also, be sure to thoroughly slice your grapefruit segments before you dip them in the sugar. It makes eating much easier and less messy. 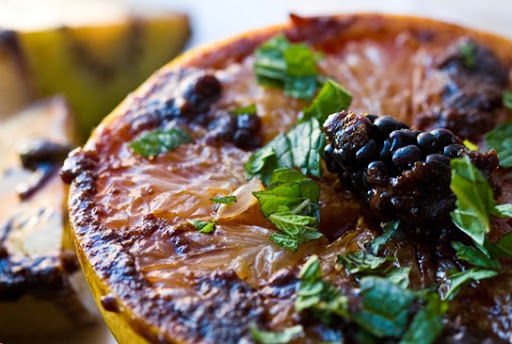 And be sure to dip a grapefruit that has been well patted-dry. 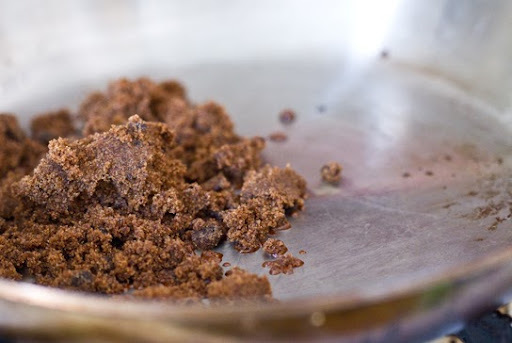 This will allow the sugar to coat more easily. And I'd advise using a small skillet. The recipe calls for a 10-inch heavy skillet. But I almost think a smaller skillet would have been slightly easier. Less chance of burning? Just my guess. 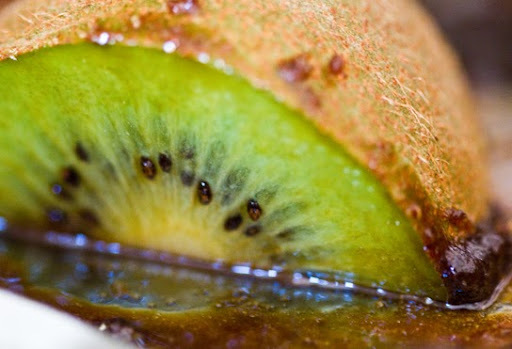 Fruit Photography. 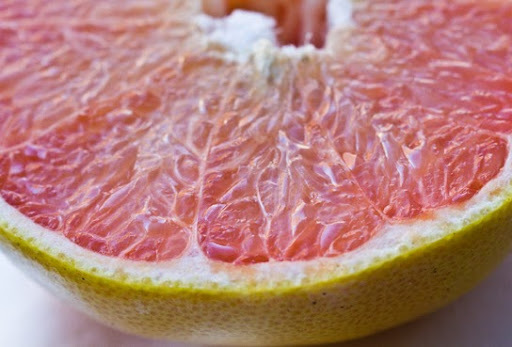 This recipe gave me a fantastic excuse to take some grapefruit glory shots. So pink and pretty. Not to mention healthy! 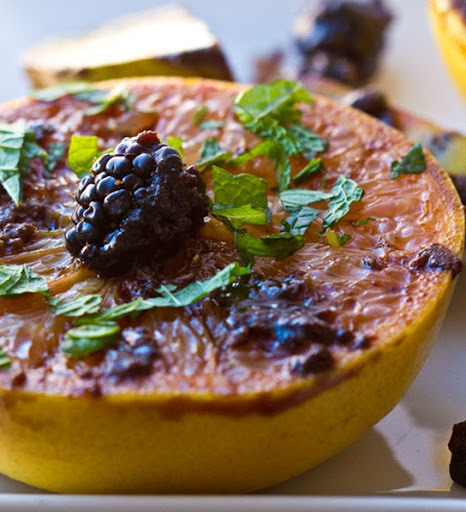 Low in calories, high in fiber, high in Vitamin C and loaded with sweet-tart flavor. 2 teaspoons finely chopped mint. 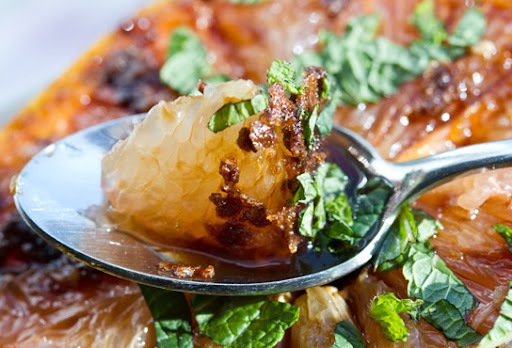 For complete recipe directions visit the New York Times: Roasted Grapefruit Recipe. What does it really look like?? ..I was especially anxious to try this recipe because it had no photo attached and I was curious as to what this gem would look like! 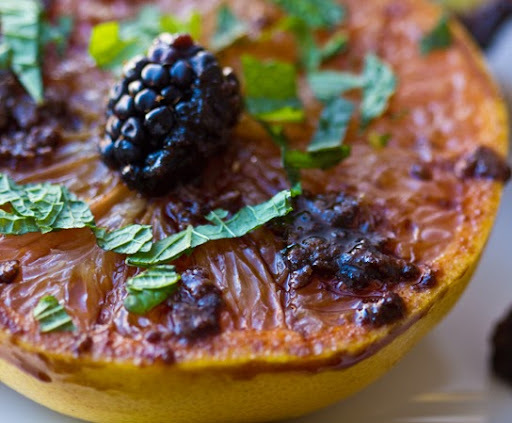 Then after I made my version I googled and found this photo of Pulino's grapefruit (from The Chubby Gourmet's website) here. I was generally impressed that I sort've replicated the results. However, I did notice that they cut the grapefruit segments much better than I did!